The next in a series of how-to's and guides for the modern battlefield represented in Squad. I would much rather wear out a set of tires then a pair of boots. With the release of the first wave of vehicles in A7, the start of a paradigm shift is upon us in Squad. Players have had a few weeks now to get the feel for the new toys, their capabilities and, hopefully, their weaknesses. Vehicles are a new tool available on the battlefield, and like any tool, in the proper hands they are capable of doing magnificent things, but in the wrong hands there can be a lot of damage done with them. My intent here is to share my experiences and ideas to create a SOP of sorts for the vehicles currently in the game that can also serve as a template that translates to newer vehicles as they are introduced going forward. First, the vehicles themselves. Each faction has at its disposal an armed vehicle that can be used for troop transport and fire support. US Army: M1151 HMMVW. Armed with a M2 (Ma Deuce) .50 caliber machine gun. Seats 5. Up-armored. Russian Army: BTR-80 APC. Armed with a 14.5mm machine gun. Zoom optics. Seats 13. Armored. Insurgent/Militia: Technical jeep, armed with the Dshk .50 caliber machine gun. Seats 3. Lightly armored. Highly mobile. Mechanized brings a huge amount of adaptability as well as firepower to the battlefield. The focus of this post is using any of these vehicles as more than just a fast transport for troops (which they are) or as a toy for lone-wolf hunting of other vehicles (which is how they are primarily used). In Squad, there is an abundance of anti-vehicle weaponry available to each team. With cover as well as the limited control over any area due to the small number (relative to the map size) of players on each team, vehicles are extremely vulnerable to being flanked and destroyed by these weapons. Considering the value to the team that each of these vehicles can bring, both in terms of the number of tickets they represent as well as the heavy firepower they provide, they are far too valuable to be used carelessly and exposed needlessly to enemy anti-tank weaponry. Specifically speaking, the Russian BTR-80 alone is worth 30 tickets. Killing one with just a crew of 2 inside represents a loss of 32 tickets to the enemy team. 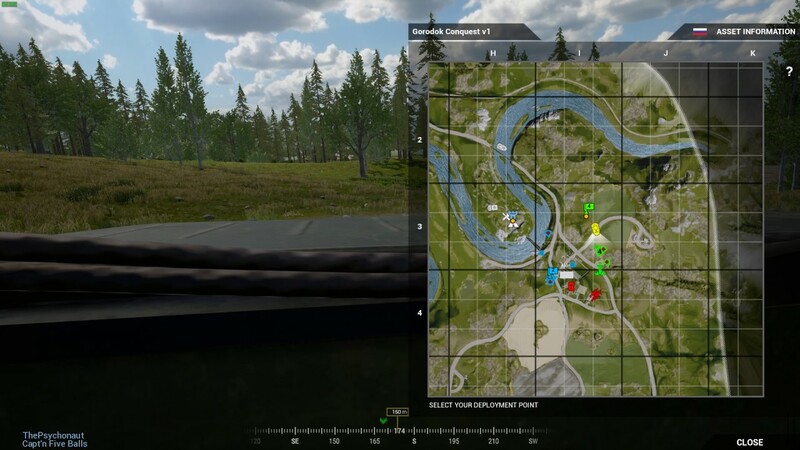 If you consider that on a server with 70 slots there are 35 players on a team, destroying a BTR-80 with a driver and gunner is the same as killing 91% of the opposing team instantly. Destroying a BTR-80 with a full squad inside results in essentially killing the entire enemy team in one fell swoop. In terms of overall impact on a team, if a team starts a round with 500 tickets, losing a single BTR-80 represents a loss of 6% of that team's total tickets. While HMMVWs and Technicals have a lesser ticket value, they are still substantial and inflict heavy losses to a team when they go down. So, these assets are incredibly valuable to a team. As other vehicles are introduced to the game their values will only go up and their loss to enemy fire will have larger impacts on a team, so I believe it is a good idea to start developing some good practices and tactics now so that they translate naturally to the next wave of vehicles coming. Enter the mechanized infantry unit. A Mechanized Infantry squad in Squad is a single squad (or perhaps 2 - covered later) that utilizes a vehicle or vehicles to provide fast, safe transport of the infantry element of the squad to an engagement and then both the infantry as well as the vehicles compliment one another in protection and fire support. Mechanized infantry units never let the infantry element nor the armor element operate separated from one another. The infantry provides support and protection for the vehicle, and the vehicle provides protection and support for the infantry element. I will touch on a few ways of doing this here. Hopefully others can add to this and then everyone can try to apply some of these to their game and add new ideas here. First, if a vehicle(s) is integrated into a squad, the Squad Leader should always be dismounted when not being transported from point A to point B. In English, this means that the Squad Leader should never be the driver nor the gunner when you are expecting contact. Designate two members of your squad to drive and man the weapons on the vehicle and let the SL lead the ground element.
) You cannot keep control of the infantry portion of your squad, which comprises almost 80% of your squad, leaving them directionless and leaderless. Second to that, you should not have any of your medics in a driver or gunner position in a vehicle. I assume the reasons for this are beyond obvious. Once the game introduces the concept of requiring a crewman kit to operate certain vehicles then this problem will resolve itself. One exception to the SL rule is if there are 2 squads working together to form a mechanized infantry unit, with one squad consisting entirely of infantry and the second squad is responsible for the vehicles utilized. There are some instances where a "patrol" of sorts is called for. This is usually on a larger map and during the first rollout phase of the round where both sides are advancing toward their objectives but contact has not been taken yet. At a point the SL determines, the infantry is to dismount and take the lead. By that I mean that the infantry element of a mechanized unit, when dismounted, should always go ahead of the vehicle. This is especially true in urban environments or areas that have a lot of cover and concealment positions for enemy troops. The purpose is to scout for any potential threats, engage those threats and help direct the vehicle to a position of safety that will allow the vehicle to provide fire support on those threats. By sending the dismounts forward, you help reduce the risk of a vehicle driving into an enemy ambush or taking a rpg shot. The way I generally do this is to send out my squad in an upside-down "V" formation when traveling moving. The intent is to cover as much ground as possible while protecting the flanks of the vehicle to the best of our ability. The SL should mark an objective and the infantry should clear to the designated point forward and then call the vehicle up to their position, wash-rinse-repeat. When contact is taken the SL needs to mark the threats immediately and the squad needs to get suppressing fire onto those positions immediately. While this is happening the vehicles can move up to take over the suppression and allow the infantry unit to advance on and destroy the threats. When mechanized units go on the offensive against a point, things get a little hectic and the tactics vary depending on the situation, but there are a few general things that I've found work well. First, no vehicle has a place directly assaulting a point without infantry support. The number of threats and directions that those threats can come from, and the value of that vehicle to the team, should be enough to dissuade anyone from directly assaulting a defended position with a vehicle. Instead, I prefer to use vehicles as stand-off fire support and suppression. This is especially true if they can do this from a secure area, such as an area where friendly troops have established control and ownership, greatly reducing the threat of a flank from enemy infantry or vehicles. If the area is relatively secured, I may leave one or two infantry with the vehicle to help protect it. Squad members who have the AT, grenadier or even the SAW role are ideal for this as their weapons can be used in a stand-off fashion and/or provide additional suppression of the target. If we are assaulting from an unsecured area, I prefer to let the vehicle driver and gunner free to roam the perimeter of the target. By remaining mobile it reduces the chances of an enemy element getting an opportunity to flank the vehicle. It also helps increase the chances of seeing where enemy reinforcements are approaching from and suppress those units as well as the intelligence gained to help the team element the spawn point. There are a lot of other variables involved so those are just general guides. Each situation is unique and every player has their own style, so I'm sure there are going to be a lot of different strategies and opinions on the best usage of vehicles to assault a point. I look forward to seeing those thoughts shared here. Using vehicles to defend a point has it's advantages, but it requires a lot of help from the infantry element to make it work. First, vehicles defending are, almost by definition, sitting ducks. Most likely the vehicle will be somewhat stationary and confined to a specific area when acting on defense, especially if directly on a flag. If you want to utilize a vehicle as an additional emplacement, then you certainly can but I would only do this if you can offer it additional protection by building sandbags or hesco around it, protecting its flanks and making a much smaller target by making it hull down. The problem with this is you are severely limiting mobility of the vehicle and it can be avoided by the enemy if they know its location and firing arcs. You will have to rely on your infantry to cover the exposed sides of the vehicle in this case. For reasons I described above in the Patrol and Assault portions of this post, a mobile vehicle on defense is probably a bad idea due to it's lack of protection from almost any infantry elements. A lone wolf vehicle of any sort roaming a defensive position under enemy attack is going to be killed by the enemy infantry and/or vehicles being used to assault a position. The best way to use a vehicle to defend a position is, again, in a stand-off fashion away from the point and in an area where at least one flank is controlled by friendly forces. This probably means a location overlooking a capture point or other defense objective, but not directly on that point, and supported by deployed defensive structures. Using the zoom optics of the vehicle or the binocular capabilities of the SL to spot targets for the defenders on the point and to provide suppressing fire on advancing elements would be the best usage of a vehicle on defense. I've only scratched the surface of this topic here. There are many more aspects of vehicle usage and tactics that I haven't talked about. I'm anxious to see what opinions and experiences all of you have to share as we build a repository of knowledge and tactics that will help all of us make the game of Squad here at TacticalGamer more enjoyable for everyone. Great write-up, Dispo. Thank you. For those wishing to read more, the 1st MIP relied heavily on US Army Field Manual 3.21, "The Stryker Brigade Combat Team" when developing its SOPs. This gives you the capabilities to kill and support anything that comes your way. The only glaring weakness you might find is a lack of air support - in that you hope to liaise with the team, or in a pinch try and pick up your own AA kit if buzzed by enemy offensive air. In this video, formations are lost pretty quickly due to the contact with the enemy. DB naturally takes his guys up the covered position away from the direct eyes of the enemy team. His most valued weapon is shown multiple times - his radio and map markers. This allows him to use [MENTION=49610]TBob[/MENTION] in the gunner seat to engage threats in order of danger. Infantry first, trans chopper as opportunity, and smoking a tank. Flanking a heavily defended and dug in team like in this position usually required a lot of good intel and "pre-game" work. Where are the enemy heavy AT kits, where are the mortars, where are the armour and air assets, and do they have TOW emplacements. To Dispo's point, the APC is held back and acts as an IFV at this point. Its heavy gun is brought to bear on infantry and vehicles, and ATGM used on the tank. Had it been assaulting the flag directly, likely it would have succumbed to a light AT shot early on due to the number of contacts on the FOB. Only in certain circumstances would you mount up the infantry and go barrelling into that position, mostly if there were few alternatives and you had a lot of open ground to cover. A squad like this benefits hugely when working "off" another friendly squad - you can see hints of that towards the end where DB is coordinating with [MENTION=16023]Portable.Cougar[/MENTION] and his infantry to flank the position. APC's bring mobility, cover, and a lot of fire power. One of these turning up in your area with a good squad to run it will cause you to have a bad day. Yes, its a PR video, but this is the end goal we are working for.....great times to come! 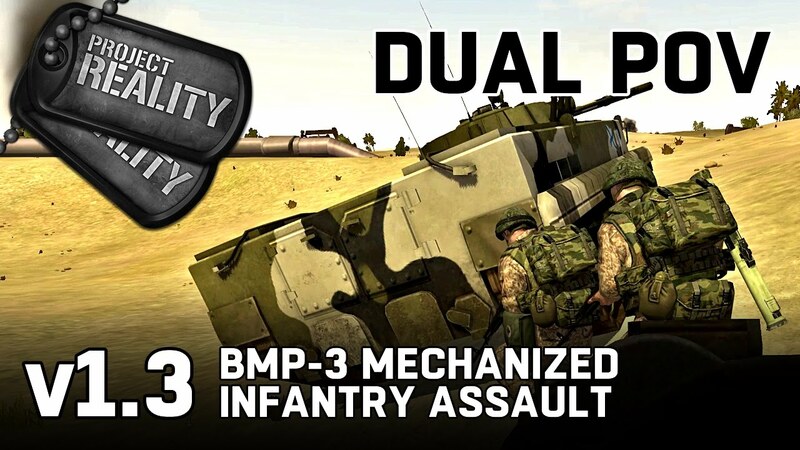 Even though the video shows Project Reality game play, the principles are identical and it was a textbook example of how infantry can support armor while the armor is also supporting infantry. Great coms, great teamwork and the objective was neutralized. As a side note, the BMP3 is a death machine and I can't wait for them to make their way into Squad. Yeah, great example of maneuver, combined fires, and the importance of intel and communications. Fantastic guide and very relevant at the moment with the growing use of vehicles. I see a lot of people joining squads just to get an APC/gun truck and go swanning off round the map plinking infantry at distance instead of working with their squad and being exponentially more effective. Damn good guide. We had a discussion on discord today about the use of APCs and logi trucks etc. Depending on how many vehicles a squad can claim you could also fit a logi truck in there. The infantrymen will act as proximity security making sure they aren't being flanked or setting down a FOB for advancing dismounts. This squad would work as TRANSPORT, LOGISTICS, FIRE SUPPORT. Having two dismount squads working in tandem with the support of the two APCs plus heavy weapons is a force to be reckoned with. I have had a recent success in runnning a mechanized infantry squad. I had toyed with the idea having the APC as part of the squad instead of it having a seperate squad because of the "You need at least 3 squad members to use vehicle". I did nothing super fancy as implementing fire teams, and instead lead the team of dismounts myself while BigGaayAl commanded the APC. Our first engagement was a disaster due to poor communication so the dismounts ended up being blown up by a grenadier, and I ordered the APC back to the nearest FOB so I could rally the squad. Our next engagement was a major success as we were able to catch the enemy completely by suprise as we crept up on their flank. The dismounts scouted ahead of the APC that provided overwatch for us, SL 2 radioed in an enemy humvee, before I had the dismounts engage I ordered the APC to move up and destroy the humvee. The picture is a visual representaion of BigGaayAl video. What I think made our squad successfull was keeping it fast and mobile. We came in fast on the enemy's flank and we were fast to disengage when our ammo was almost depleted, we quickly went to an unguarded flag to secure it. We also left the scouting to the dismounts as we were nearing enemy territory. Wow, I have so much to learn on how to utilize these heavy assets. Great post! I love your map presentation there, adds a lot. I found the retreat was a very effective decision, limiting the damage. Then on the assault, stopping the dismounts from engaging allowed us to engage with the biggest weapon and the element of surprise intact. This is an example of how a dismount would look like. Having an assigned sector to a fire team would perhaps help with the situational awareness instead of everyone looking everywhere. If I get the right people in the squad I wil definitely try this out. I like it, Crawling. One concern about the formation shown is that the flanks and rear of the APC are left unprotected. Since defining of a "front" in a game as dynamic as Squad is difficult at best, I wonder if perhaps you change the layout of the squad some to provide better coverage on the sides and rear? Working with a second squad (and perhaps a second vehicle) would definitely improve the coverage and number of guns that can quickly be brought on a threat, but with current player numbers that might prove to be a challenge. I think there might be a communication error! I believe you think that this is a "Hold position" formation, it is however meant as a "dismount and advance" formation. While advancing I think there is little chance of the squad being attacked from the rear. If the enemy should spot us and choose to circle around they would have take a long route if the wanted to be sneaky (Depending on how wide the dismount formation is). Better flank secutiry could propbably be achieved by widening the formation to cover more ground. Granted these formations might be hard to achieve in a squad full of pubbies, but miracles do happen! P.S. : Great gifs! As a designer you got me for the visual and of course for the content too! I'd be game to join up and try as well!